Not a single one of you reading this wants to fail at the writing game. I don’t either. But statistics are against us. After all, as the famous demotivational poster points out: it could be that the purpose of our lives is only to serve as warnings to others. So I was blown away by this recent article about why some authors never succeed. I tell ya, I wish I could report that there was much here I already knew, but my impression was exactly the opposite: there is a lot here I have barely given thought to or am only now beginning to wrap my head around. Learning about the industry is certainly key–but there is a lot to know. Make sure you set time aside to do your homework. Accepting feedback is critical, but equally important is finding good sources of feedback. Not doing so can be a dealbreaker. Classes and forums can only go so far–get out there and find other writers that are at your experience level and that share your interests who you can exchange work with. I think right along with measuring success in book sales, measuring success in blog posts (for us greener writers who have not been published yet) can be equally misleading. If the fiction isn’t getting done but your blog is rocking, you may need to take a closer look at your priorities. And I think the most important lesson is understanding that you are going to fail–that sooner or later you’ll try and not succeed–but learning from your failures and pressing on. “Fail up,” as the author notes. So I ask you: how do you measure short and long-term success? What are the measuring sticks you use to judge daily, monthly, and yearly progress? 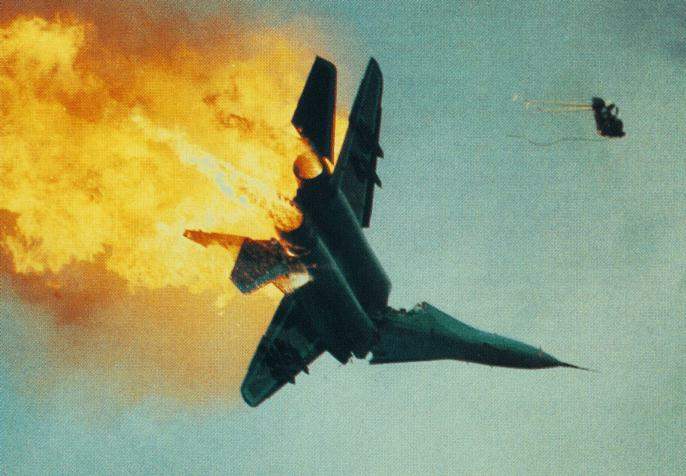 What’s your process when things don’t go as planned? One of my best friends in the Navy retired today, after over twenty years in service. I flew in from Texas to attend the ceremony at the Washington Navy Yard, on the Anocostia River in Washington, D.C. I have been proud to know the retiring gentleman for more than fourteen years, and during that time he has served this country in ways that many of us–even me–can hardly begin to understand. I think many of you watch TV shows that portray the Navy, or read about the Navy in news articles or books, but there is much that is not visible to the average citizen. I thought I might give you one small glimpse of how it really is. I’ll leave you to read it for yourself on this fine fine Friday evening, as I raise a glass to my friend, and wish him “Fair Winds and Following Seas!” We’re gonna miss you, man. But still he stood the watch. Relieved by those you have trained, guided, and lead. 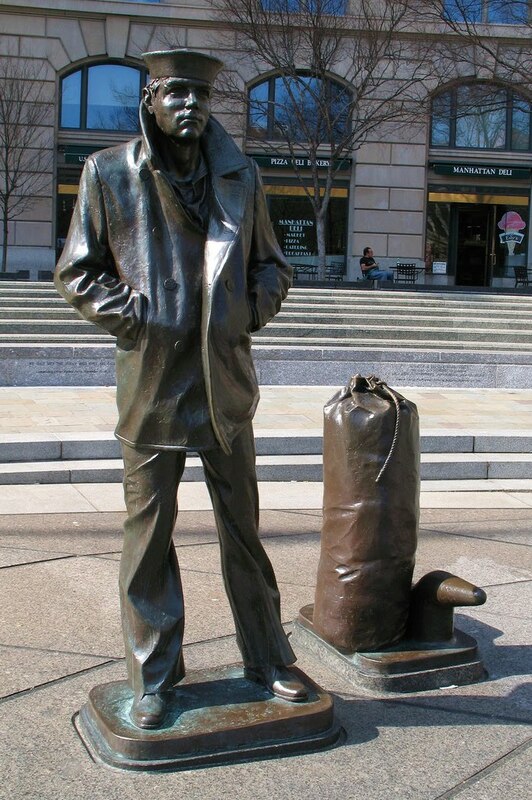 Boatswain, standby to pipe the side…Shipmate going ashore. We’re going a little off the beaten path today. But before we do, I need to help get the word out about an upcoming blogfest that promises to be a blast. 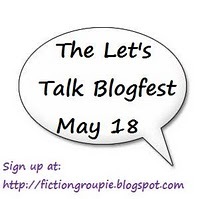 Roni Griffen over at Fiction Groupie is hosting a Let’s Talk Blogfest set to go up May 18th. Go sign up here. Woo hoo! I think it’ll be fun, and I’m planning to participate. Now, back to the business at hand. Recently, Donna Hole (who publishes some wonderful stuff over at her place) asked that I cover lessons learned during my recent custom template designing adventure, and I suspect there are others out there who might benefit from a few pointers also. If this is not your thing, here are a couple of my favorite older posts you might enjoy: “KA-POW! 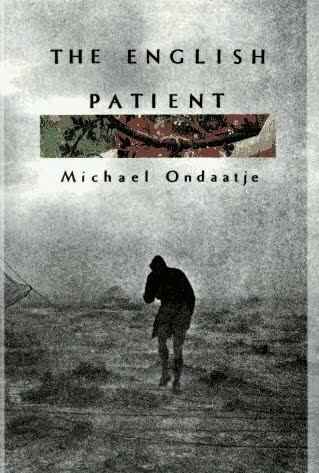 Understanding Conflict In Your Fiction” and “Life In Six Words or Less“. 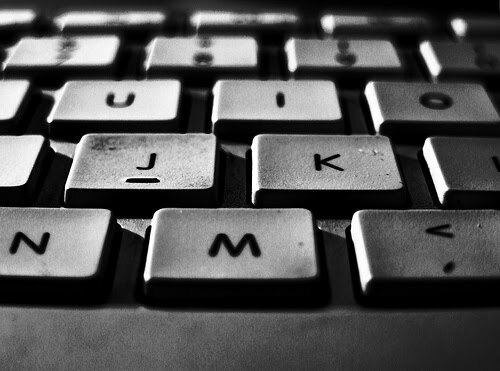 ….into the blog you are currently reading. It isn’t all that harrd, once you get the hang of it (If choosing one of the pre-set blogger templates is beyond your skill level, hit me up in the comments and I’ll point you in the right direction). STEP 1–Setup Test Blogger Account. If you are planning to do more than change the picture at the top or a few colors, I’d recommend setting up a test Blogger account. Simply log in and create another blog. Then you can do all your testing and try out different ideas and your readers won’t throw things at you because the header keeps showing up in the middle of your posts. Be aware that if you use the same email address as your current blog to set up your account, this test blog will be visible to your readership (when they click your profile). There are ways to make it invisible, but it’s complicated, and I found it easier to set up a second account under a different email address so I didn’t get them confused. Again, if the changes you want to make to your template are minor, you can skip this step. 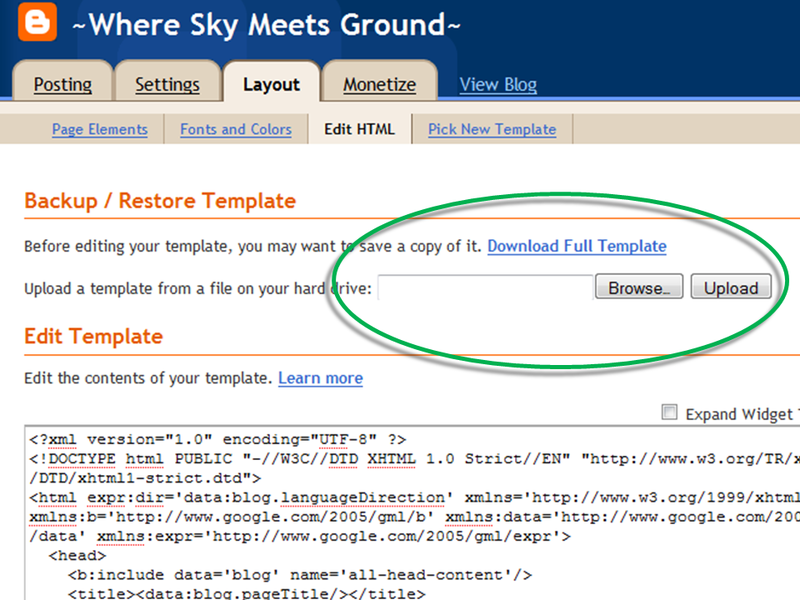 STEP 2–Find and upload a new template. There are dozens of blogs and websites out there that have free templates, so it’s simply a matter of shopping around until you find one you like. 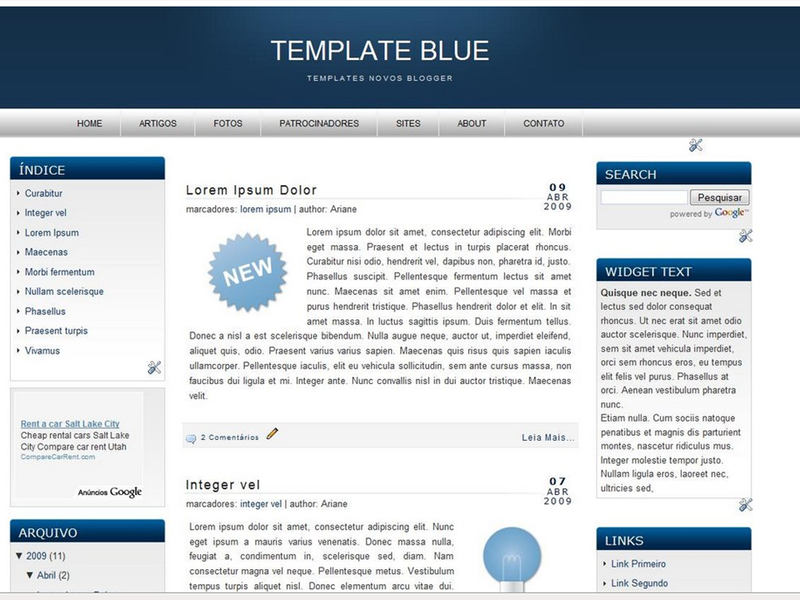 Google “blogger templates free” and you’ll have plenty to choose from. Another strategy–the one I used–is to look around at the blogs you read until you find one that has a template you like. If you like a particular template, chances are you’ll like others from the same designer. Most templates, like the one I initially used, give credit to the designer at the bottom of the template (at the bottom of this one you can see I used TNB), so you can Google the designer or click the link and go to their website. Once you find the template you like, download it to you desktop. It will probably come in a ZIP file, and you’ll have to unZIP it (let me know if you need help doing this). 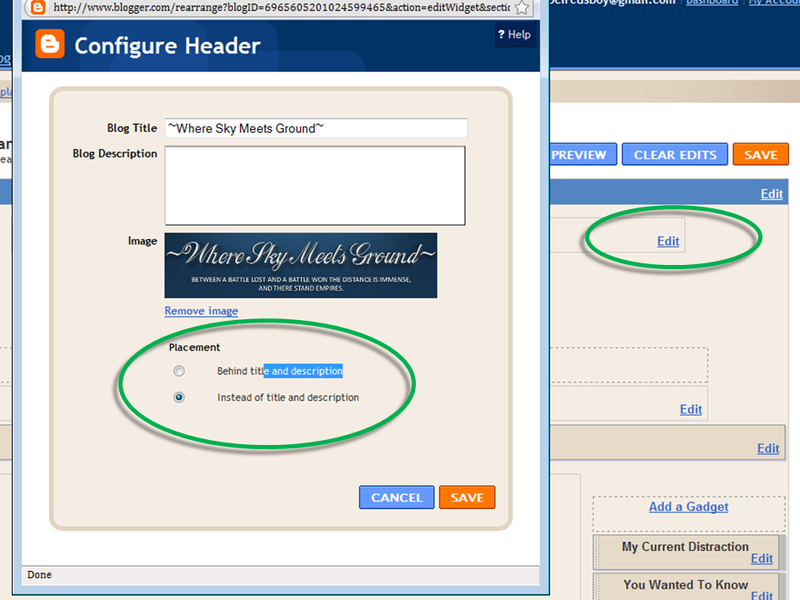 When you upload the new template, Blogger may ask you if you want to keep your old widgets. Generally, you’ll want to click yes. STEP 3: Tweak the template. Here’s where you make your money. Most of these tweaks involve going into your html file and making changes. In case you’d like to know more about html, here’s a quick post written by Eric Trant covering the basics. Eric must have read my mind by putting up this post recently. Thanks Eric! Html is relatively simple to understand and manipulate. To accomplish certain changes, it really amounts to locating that section of code on a tutorial website and posting it into the right section of your html template. Don’t get discouraged by the amount of code. The best advice is to click into the html pane and typing “ctrl + f” which brings up the find function. Type in the word you want and it will take you directly to the spot in question. Saves you from looking through line after line of code. There are literally hundreds of tutorials out there, but the best I found were on this site: Blog Bulk. These posts’ll teach you how to add an icon to your post titles (like my little old fashioned microphone above), add a signature, customize block quotes, change the width or your blog–basically, the sky is the limit, and you can take it as far as you want. Click the Edit link on the Header gadget, then upload your custom photo. By clicking the radio button that says “instead of the title and description”, Blogger will use your custom pic instead of the regular script. Tweak size and color to blend it with the template background. When looking for accents and other things that make your blog look more professional, there are many resources available, including this really awesome icon site, Iconfinder, where I found the little microphone and the compass on my sidebar headers (also a custom image I created myself)–they really do have an amazing variety. Adding these images can set your blog apart from the rest, and also can make the experience more fun for the reader. STEP FOUR–Move Your Template. Once you’ve done all the tweaking you want on your test template, it’s time to move it over. Simply do the steps in reverse: 1) save the template on your current Blogger account to your desktop (so you have it as a backup in case you have a problem) 2) save your test template to your desktop 3) Open your actual Blogger account (not your test account) and 4) load up your new template. If you’re lucky, it will all go very smoothly–and you’ll have a big beautiful new template for us to all wow over. A few last notes. A mistake I made was not checking out the flow and functionality of my new template completely, such as adding comments on the test blog and seeing how that worked, or clicking through posts and/or understanding how the sidebar behaves with longer content. I’d recommend trying all this out before you move the new template over. A few unexpected fixes resulted in some late-night last-minute gymnastics–so take the time to check it out on the test blog first. And don’t be afraid to experiment! If you save your template as you go, you can always reload it if you mess something up and don’t know how to fix it. That’s about it. Hit me up if you have questions, and as always, stay groovy and thanks for stopping by. This recent article about 50 famous authors and their all-time favorite books got me thinking: what is my all-time favorite book (and by extension, what are your favorite books)? There are some interesting choices on this list. Russian writers like Tolstoy, Nabokov and Dostoevsky were popular. Since Ha Jin is a novelist from China, his choice of Tolstoy’s “War & Peace” was fascinating to me (if you’ve not read Ha Jin’s novel “Waiting” you should pick it up). Stephen King’s choice of “The Golden Argosy” was equally thought-provoking. I think looking at this list leads inevitably to the idea that the books these authors favor is somehow reflected in their own writing. Things that make you go “hmm” indeed. I like these three for different reasons, but it mostly boils down to two fundamental elements: story, and the quality of the writing. Looked at critically, I don’t see a through line or theme in these three books; I can only conclude that they each scratch a different literary itch, so it’s difficult for me to pick only one. What about you? What’s your favorite book? Why do you like it so much? Any advice on how to narrow my three to one?